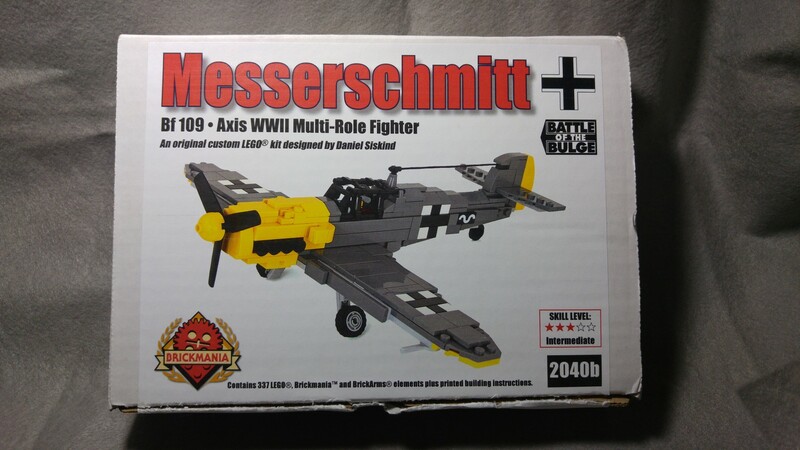 Taken directly from Brickmania’s short description, The Messerschmitt Bf 109 was the primary single-seat, piston engined fighter plane used by Germany during World War II. Developed in the 1930’s to fulfill the fighter / intercepted role, it incorporated all of the features that would be considered state-of-the art for World War II: an all-metal mono-plane with a fully enclosed canopy. 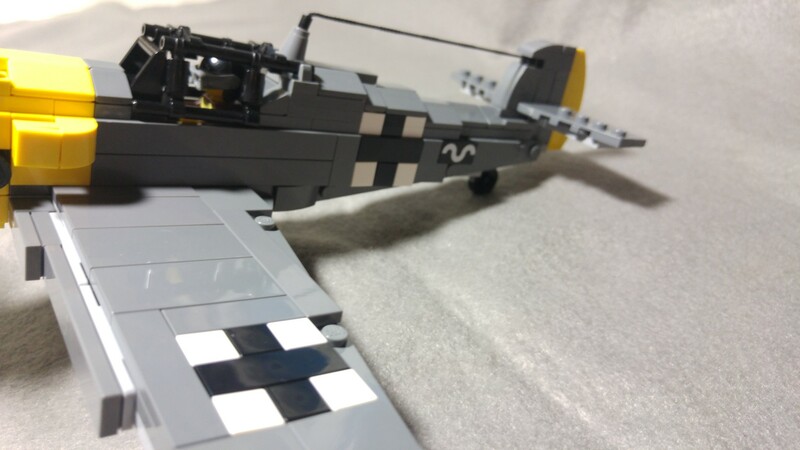 The Bf 109 would see continual upgrades as technology advanced and it’s roles increased on the battlefield and in the skies. 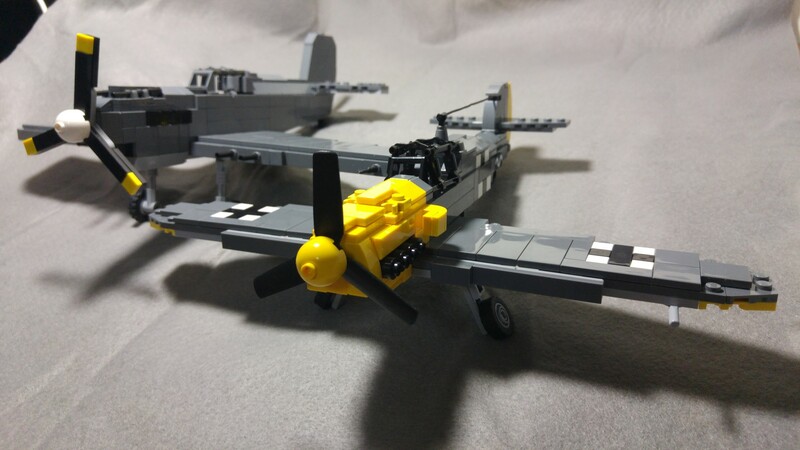 The Messerschmitt Bf 109 was the most produced fighter aircraft design of all time and saw service for two decades after the close of World War II. 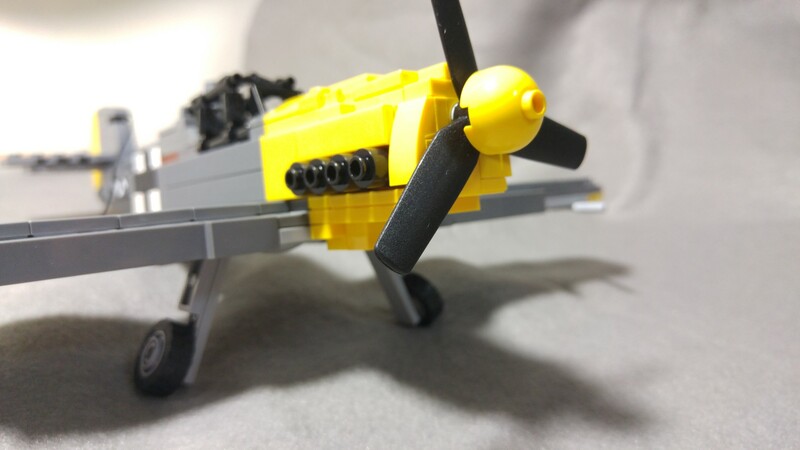 Lets take a closer look at this Kit in our BrickMania Kit Review. The kit is packaged in a white box. 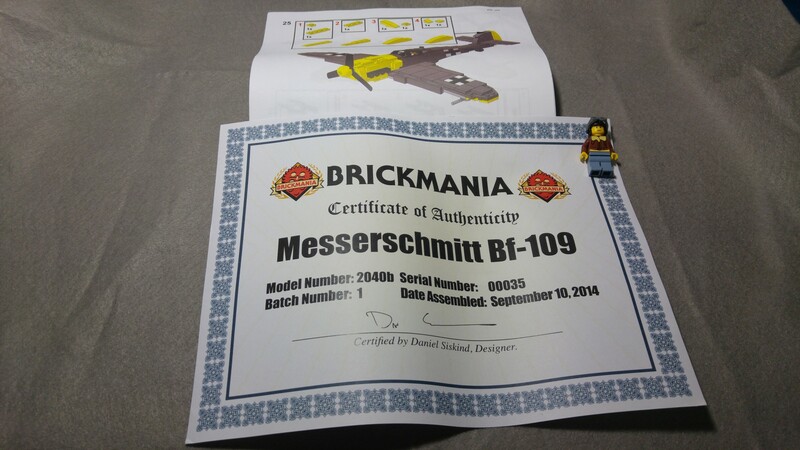 The box contains the following, a ziplock bag of the LEGO parts required for the kit, an instruction printout leaflet and certificate of authenticity of the kit (seen below). 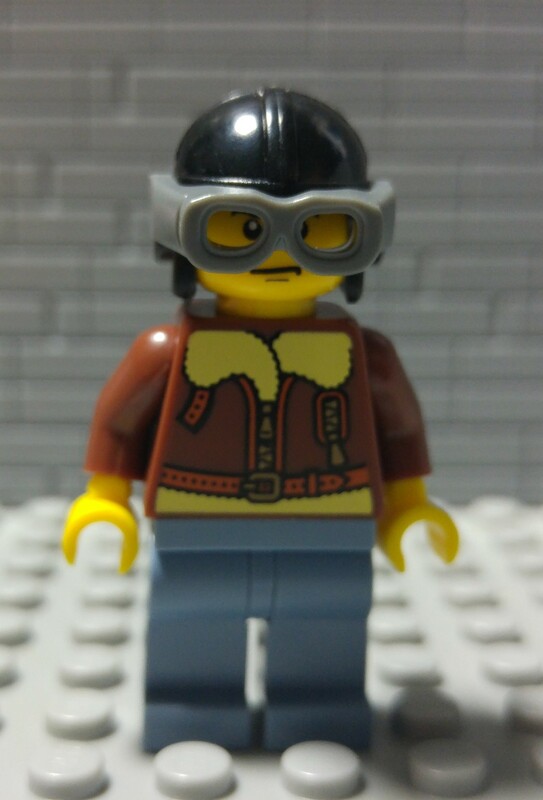 Below is the minifigure which comes with in this set. Does not come with any weapons. 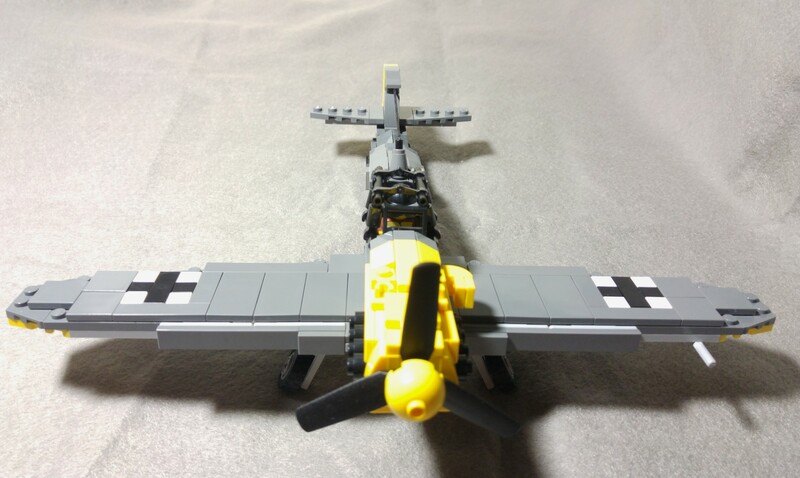 The finished Bf 109 front view. Dome should be sharper cone instead of round. Nice to see the cross is made of tiles for the wing and body. Just a quick comparison with the P-40 which was reviewed before. 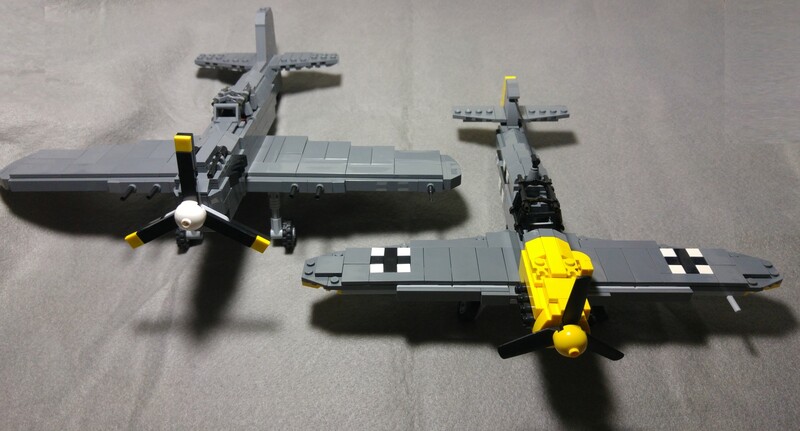 Overall the P40 is slightly larger and heavier due to its construction. 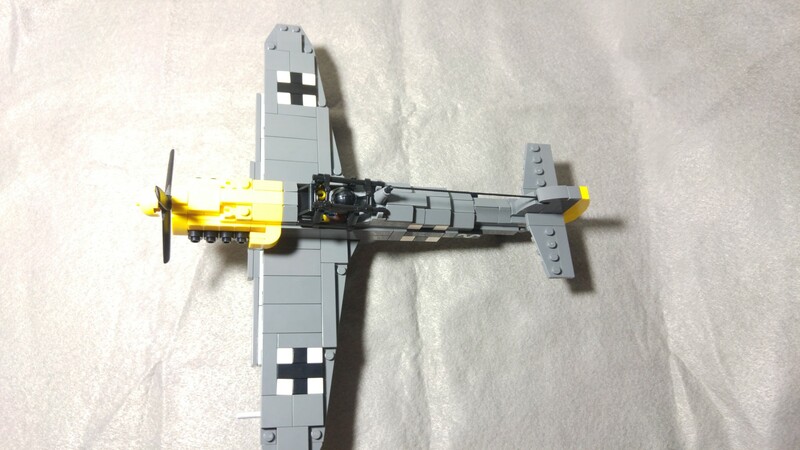 The plane took 2 hours to complete. It’s construction is rather sturdy with the exception of the undercarriage which tend to pop out at a light touch when trying to deploy or keep the undercarriage. 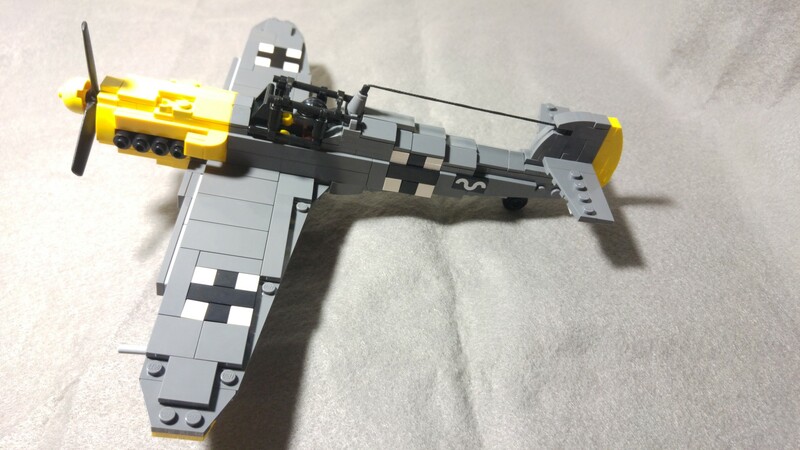 However the kit captures the Bf109 look and feel without relying on stickers.It should survive daily play-ability with no issues. Thoughts? Comments? Do share with us!